The processing of personal data is based on Paragraphs 1, 2, 5 and 6 of Subsection 1 of Section 8 of the Personal Data Act. The data concerning customers is obtained with customers’ consent from the customers themselves (Paragraph 1 of Subsection 1 of Section 8 of the Personal Data Act) and from transactions related to the customers’ service reservations and purchases (Paragraphs 2 and 5 of Subsection 1 of Section 8 of the Personal Data Act). Data is not transferred outside EU. 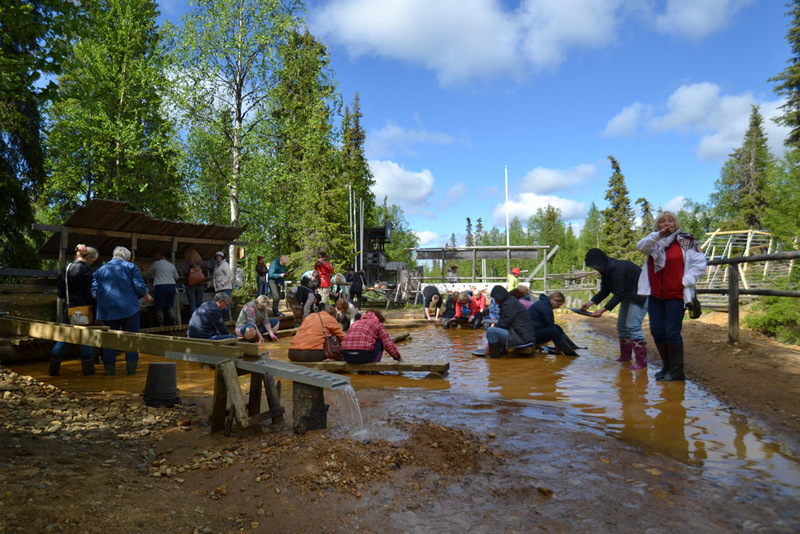 Tankavaara Gold Village will not disclose data to third parties. Material in a manual format is stored at the premises of Tankavaara Gold Village, which are locked and monitored. Only those persons employed by Tankavaara Gold Village who need the data for their work duties have access rights to the file. They are using user IDs and passwords. The data is stored in Tankavaara Gold Village’s closed network, which is technically protected by means of a firewall. The description of file concerning the customer register Tankavaara Gold Village is displayed at Tankavaara Gold Village, tankavaarantie 11a, 99695 Tankavaara, Finland and on our website at www.tankavaara.fi. The customer is entitled to inspect the data concerning him or her stored in the customer register. If the customer wants to exercise their right of inspection, the customer shall send a personally signed inspection request to Tankavaara Gold Village, tankavaarantie 11a, 99695 Tankavaara Finland. The customer can also visit Tankavaara Gold Village with a document that proves their identity. The customer shall specify their name, address and telephone number on the inspection request. Tankavaara Gold Village will submit its written reply to the customer within 30 days of the customer visiting Tankavaara Gold Village or after the customer’s written inspection request has been received at Tankavaara Gold Village. If there are any errors in the customer’s data, the customer can submit a request for rectification to Tankavaara Gold Village. Personal data is collected in compliance with the Personal Data Act when the customer makes a room, table or meeting service reservation by telephone, fax, e-mail or via a website. As our customer, you are entitled to inspect your personal data stored in our customer register. If you want to exercise your right of inspection, please send a signed inspection request to the address Tankavaara Gold Village, tankavaarantie 11a, 99695 Tankavaara Finland. If there are any errors in your data, you can request the rectification of the errors. The data is stored in Tankavaara Gold Village’s secure data network, which is separated from the public network with firewalls.